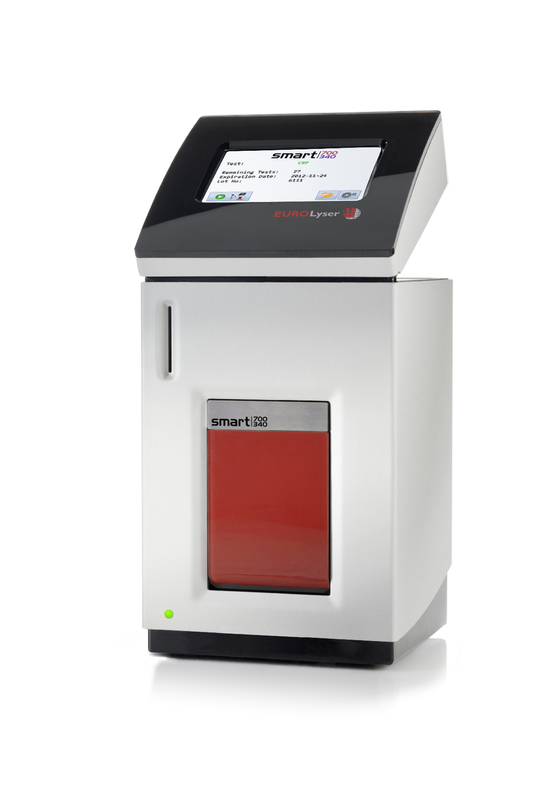 The Eurolyser smart (single method automated reading technology) is a tried and true, innovative point of care/rapid testing instrument. Its strengths are its ease of use, reliability and flexibility in day-to-day operations. The smart instrument is designed to perform coagulation monitoring, thrombosis analysis, examine the inflammation status, assess cardiologic risk, diabetes status, iron deficiency and screening of colorectal cancer risk. A system that perfectly fits the needs of general practitioners, internists, diabetes centers, angiologists, emergency labs, cardiologists, gynaecologists, paediatricians, blood donation centers and anti-aging physicians. This easy-to-operate analyser is a worthwhile investment for every user, thanks to its great flexibility and constantly expanding test portfolio. 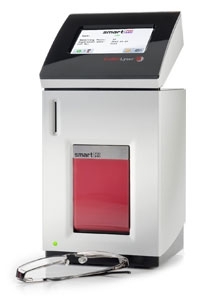 The smart is a flexible platform for fast point-of-care testing. It is an ideal platform for OEM partners in the medical, veterinarian, food &b feed and environmental analysis fields. The patented design of the cartridge permits a continuous adaptation of (newly developed) tests – ideal for OEM partners who do not have their own instrument platform, but who want to complete clinical studies quickly and economically or begin conducting patient-near analysis.